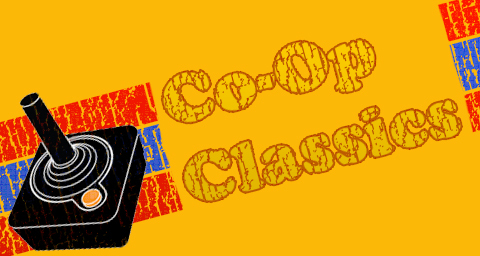 For quite some time now, I have been on a quest to find the earliest video game with cooperative gameplay to cover for this column. This quest has led me back through time, from Gauntlet, to Mario Bros., to Joust, and eventually to Space Invaders II. A few weeks ago, I was flipping through my copy of Arcade Fever, a great book about the golden age of video games. 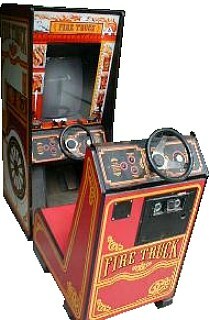 In a list of odd games, a strange golden oldie from 1978 called Fire Truck was mentioned. Not only was it older than Space Invaders II, it was far more cooperative in nature! It's been over three decades since Fire Truck rolled off of the Atari factory and into restaurants, malls, and bars across the nation. Obviously, the game has primitive graphics and a simple control scheme, one that many people would find horribly antiquated today. One thing it does have, though, is a fantastic cabinet. Many early games had fancy cabinets to increase their appeal; a good example would be Jaws ripoff Maneater. The cabinet for Fire Truck looked quite a bit like an actual firefighter transport vehicle. What kid wouldn't want to sit down and try it out? Player one sat right in front of the monitor, with a steering wheel, accelerator, and a couple buttons. Player two stood just behind player one, with just a steering wheel and similar buttons. I'm sure it felt just like being on an actual fire truck, with a driver inside and everyone else standing on the outside. Adding to the illusion were some sound effects. Both players could jam a button to sound a horn or a bell, respectively, which had no effect on gameplay but sure sounded cool. At least, for the first fifty or so times, then I'm sure it got irritating. Page created in 0.8220 seconds.